For every student in the UK, universities currently invest £1,804 in the fossil fuel industry! The University of Liverpool has nearly £12m invested in major polluting companies like BP and Shell. Climate change (caused by fossil fuels) is real and it’s happening now with devastating consequences. 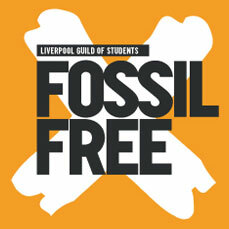 We must call on the University of Liverpool to cut all ties with the fossil fuel industry. The UN has warned that we have just 12 years to prevent runaway climate change. 2018 was a year characterised by climate change related events: deadly wildfires as temperatures soar and catastrophic flooding as sea levels rapidly rise. Climate change also comes with a huge human cost. Already, 22 million people are displaced by climate-related disasters every year. The fossil fuel industry is responsible for this. Furthermore, fossil fuel companies displace indigenous communities (sometimes violently), imposing extractive infrastructure and poisoning local water in order to extract fossil fuels. In a world that must move to clean energy, investments in fossil fuels are increasingly financially (as well as environmentally) unsustainable. It’s time for change. We must demand full divestment from fossil fuels now. As leaders in research and drives for social change, Universities have a social responsibility to end their support for the fossil fuel industry. By withdrawing their investments from companies like Shell or BP, public institutions are able to attack the fossil fuel industry’s reputation and social license to operate. The University claims “We will recognise the social, economic and environmental impact of our activities and seek to minimise harm to the natural environment and increase our social value, wherever we operate.” Their investment in and research partnerships with fossil fuel companies contradicts in every way. We must campaign for change. The global fossil fuel divestment movement has been campaigning since 2011. Over this time 1000 institutions have pledged to withdraw investment from fossil fuels, worth $7.93 trillion! …and dozens of education institutions all over the world. 51 UK universities have now committed to full divestment, including Sheffield, Newcastle and Bristol, and we want the University of Liverpool to be next! Share it on social media and across campus to make it clear to the University that their students want a Fossil Free University! Come to our meetings and events! You can also email Deputy President, Hannah Nguyen, for more information on how you can get involved.